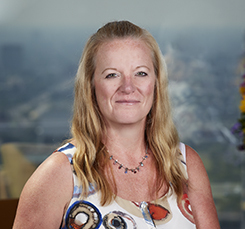 Rondi Needler has 25 years of legal experience providing support to attorneys with respect to real estate and corporate matters. Rondi concentrates on complex commercial real estate transactions, including acquisitions, dispositions, leasing and financing. Rondi's transactional experience includes the review of contracts and other agreements, as well as the analysis of various due diligence materials, including organizational documentation, leases and title and survey review. She also coordinates and prepares closing documentation and has created databases for 2 major clients. Rondi received her Paralegal Certificate (Real Estate and Corporate) from Washington Institute in 2002.